I am embarrassed that, in my running around lately, I failed to post here about Minority Enterprise Development (MED) Week, which just ended. This is especially remiss since I am on the MED Committee! My only excuse was that I was so busy trying to promote MED Week on other channels, I forgot to use my own. That said, it was a very successful week of free events and workshops for entrepreneurs. There was a nice preview story in the Citizen-Times, click here to read it. There will be a wrap up story in the Mountain Xpress, I’ll share it when it is published. The highlight of the week was the annual awards event, which had great crowd and a truly inspiring program. At the awards event, the MED Committee honored six Western North Carolina minority-owned businesses. The winners were: Phyllis J. Sherrill Minority Entrepreneur of the Year – Sanesco International, Inc., Minority Restaurateur of the Year – Cooking with Comedy, Minority Emerging Business of the Year – Eagle Market Streets Block By Block Industries and CHIVA, LLC, Minority Artist Business of the Year – Jonathan Scales Fourchestra, Minority Service Business of the Year – NC Brookhaven Behavioral Health. We showed videos about each of the winners, I will be able to share them here in a few weeks. In addition, The Support Center was honored as Lending Institution of the Year and the Advocate Award went to Deborah Miles of the Center for Diversity Education. An impressive group to say the least! As you can see, Asheville and Buncombe County are clearly behind in the amount of minority entrepreneurship in our area. It is my belief that in this country the game of business is rigged by institutional racism. The playing field is not level. And I believe the status quo will not change with out pro-active efforts like the work of the MED Committee, which offers events and support year round to local ethnic minority-owned businesses. It is vital to advocate for those the system is not designed to work for in order to have a more interesting and vibrant economic and cultural landscape in WNC. Want to stay in the loop about these efforts? 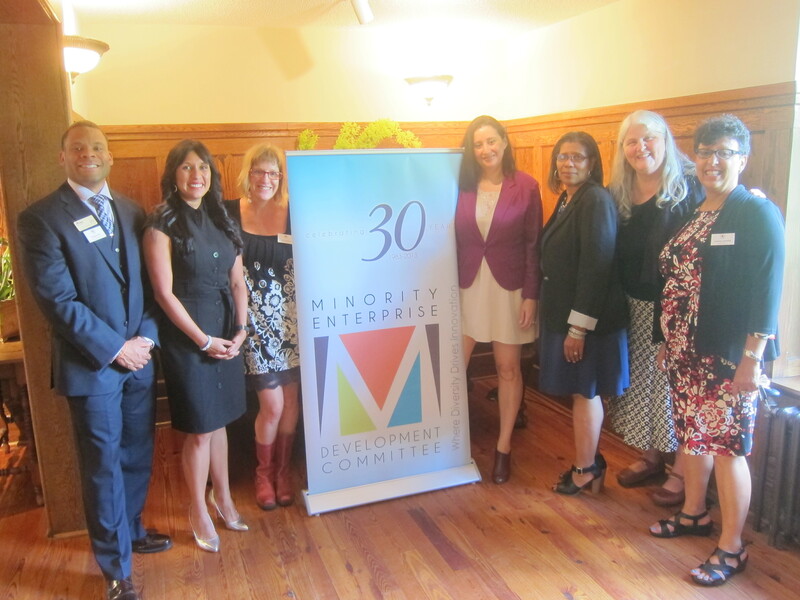 Click here to sign up for the Minority Enterprise Development Committee email list.